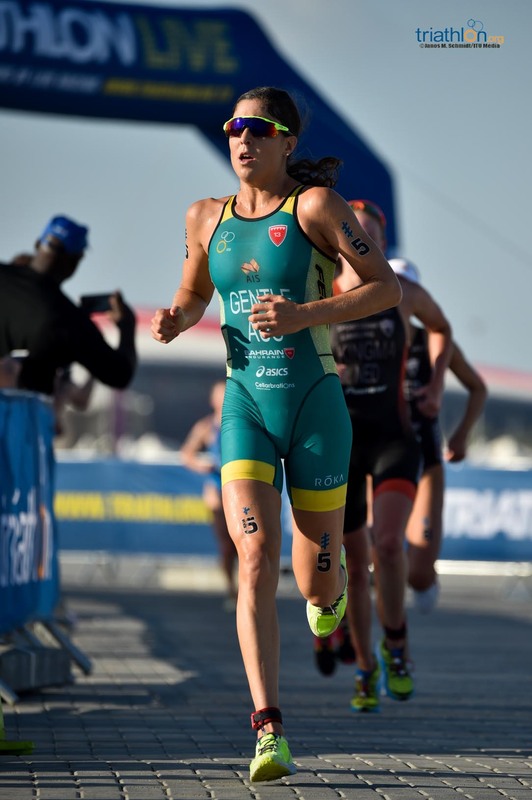 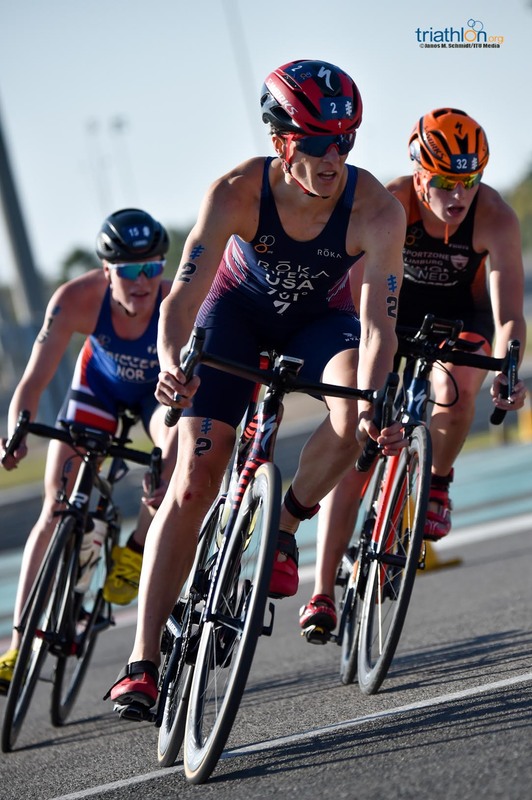 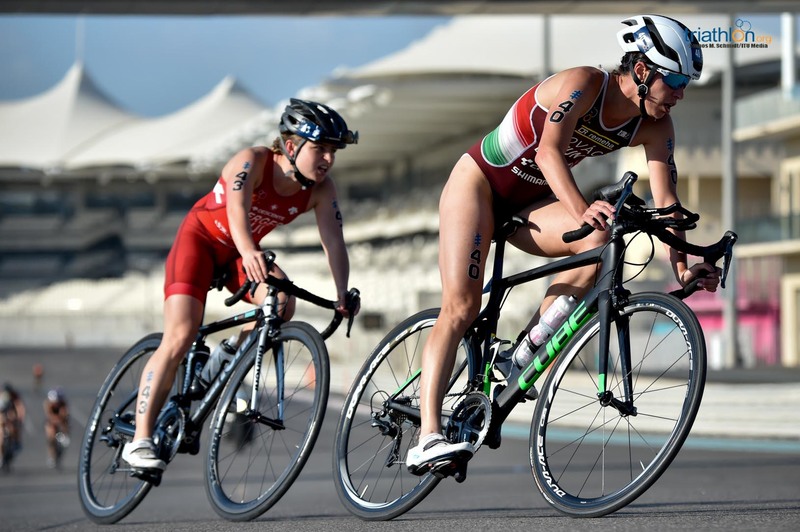 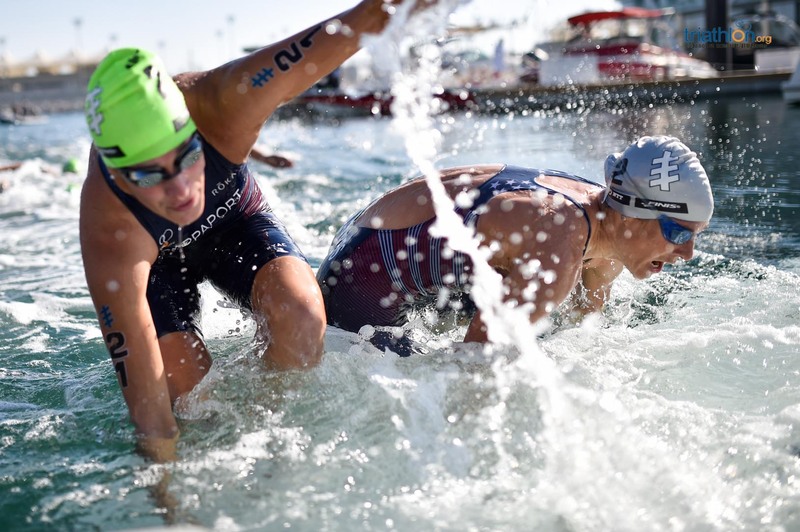 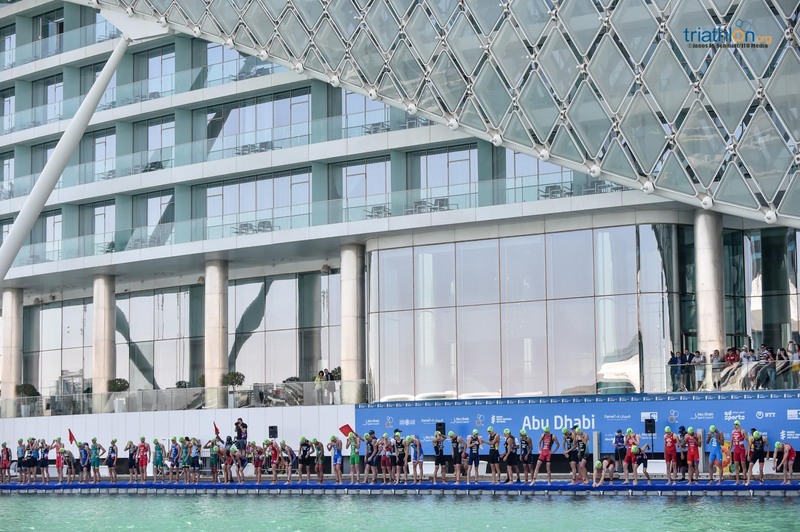 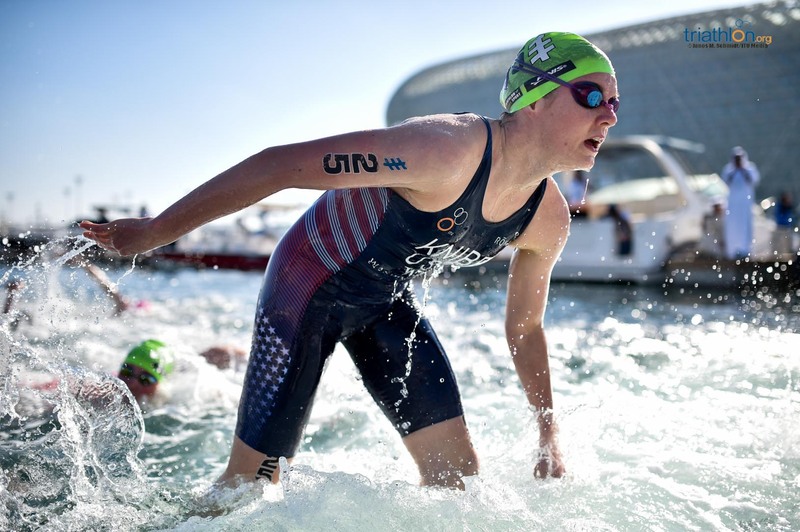 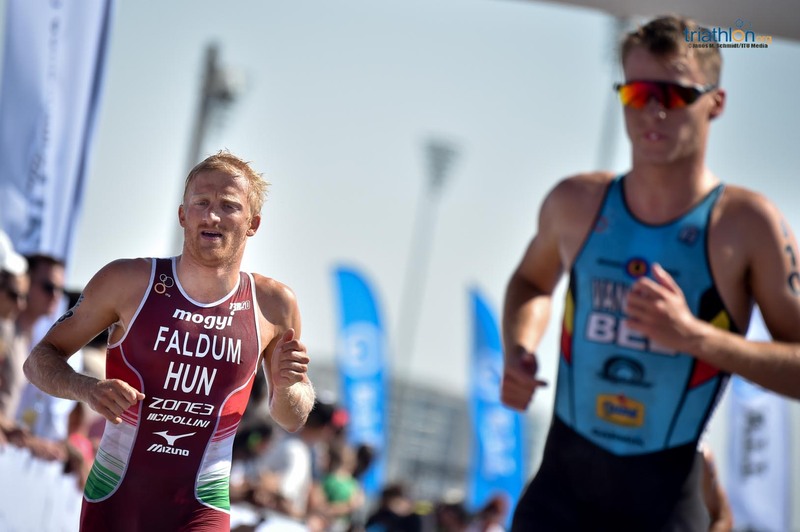 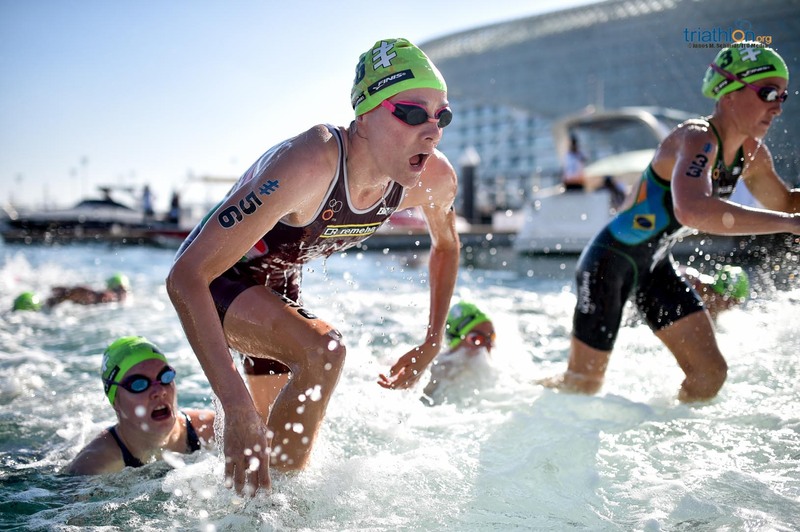 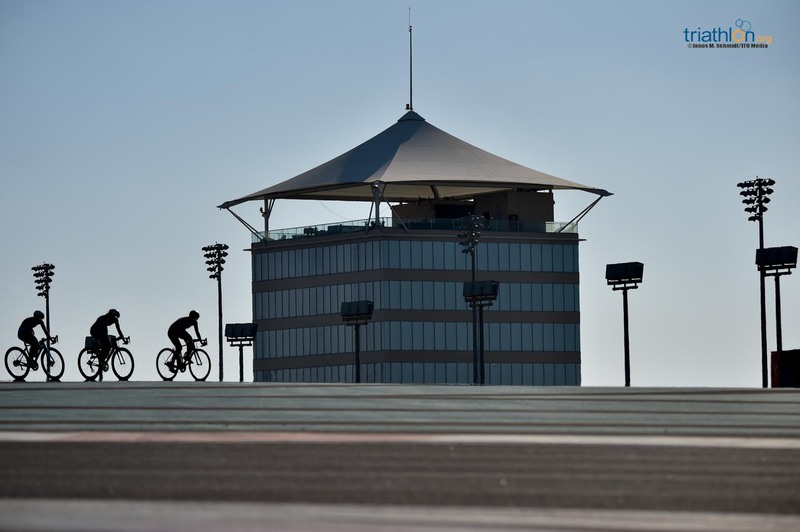 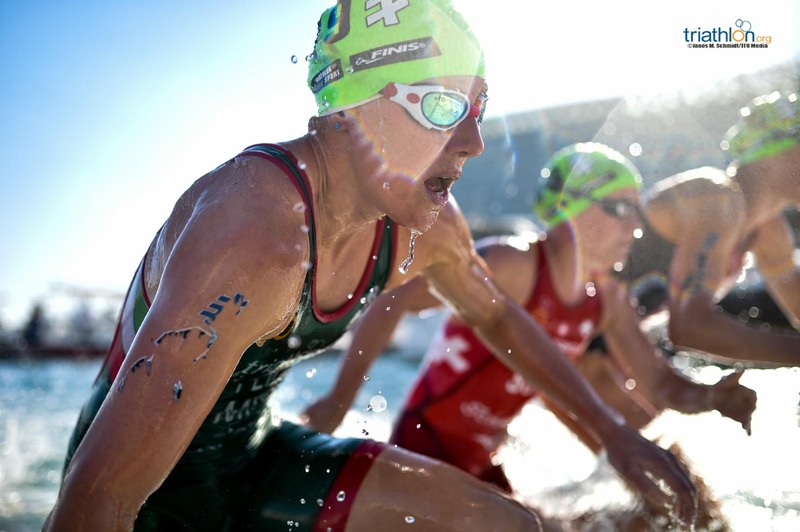 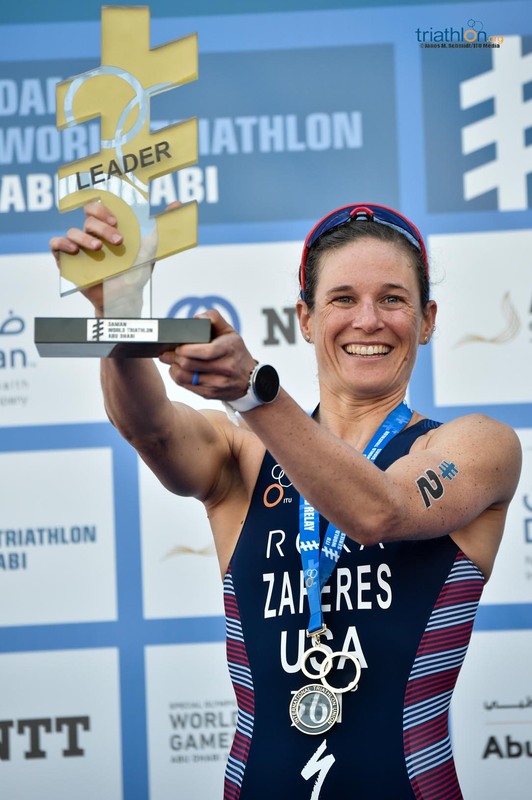 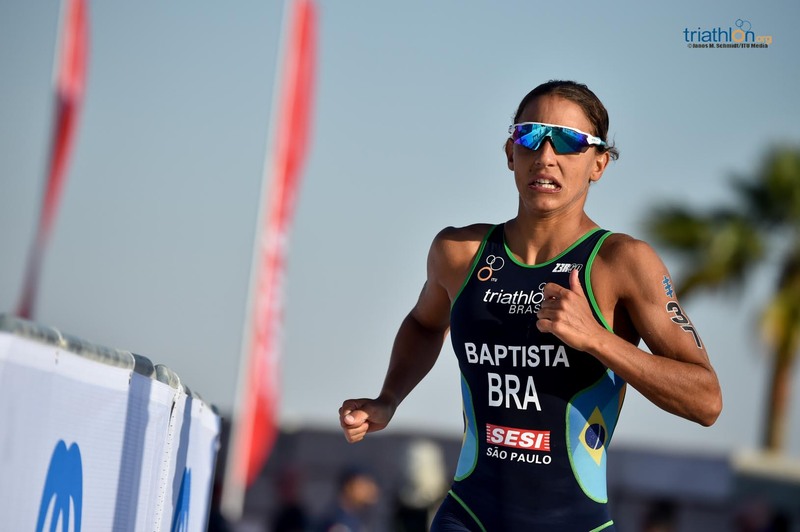 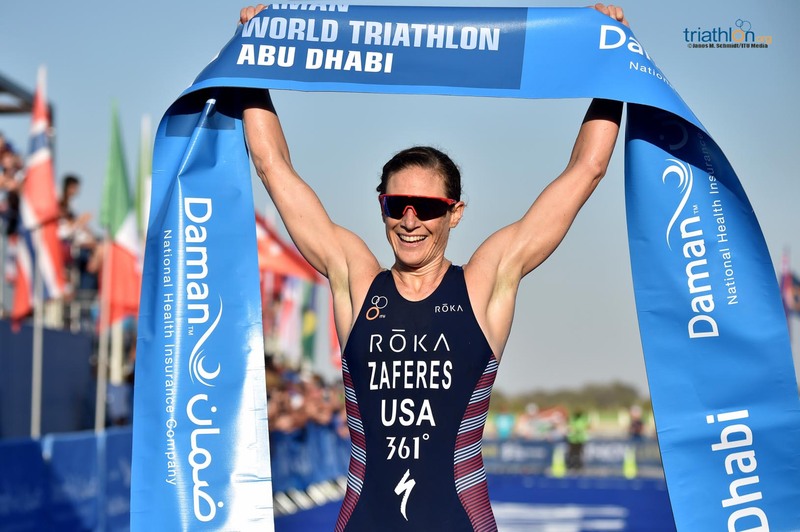 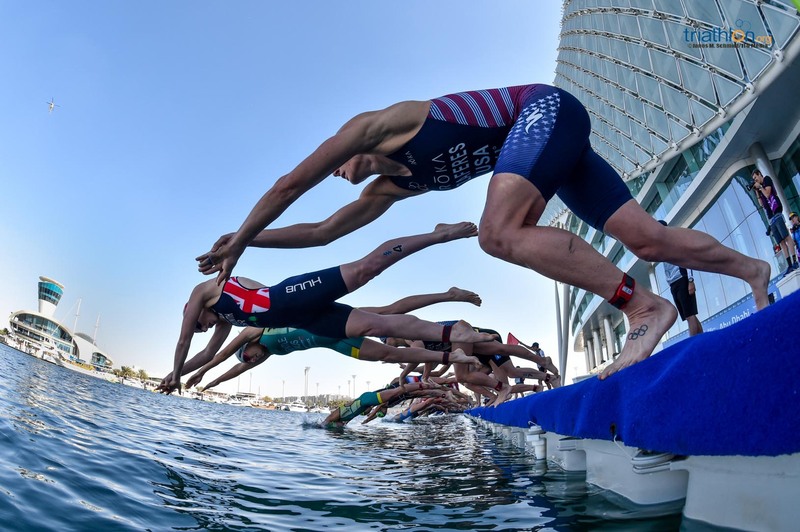 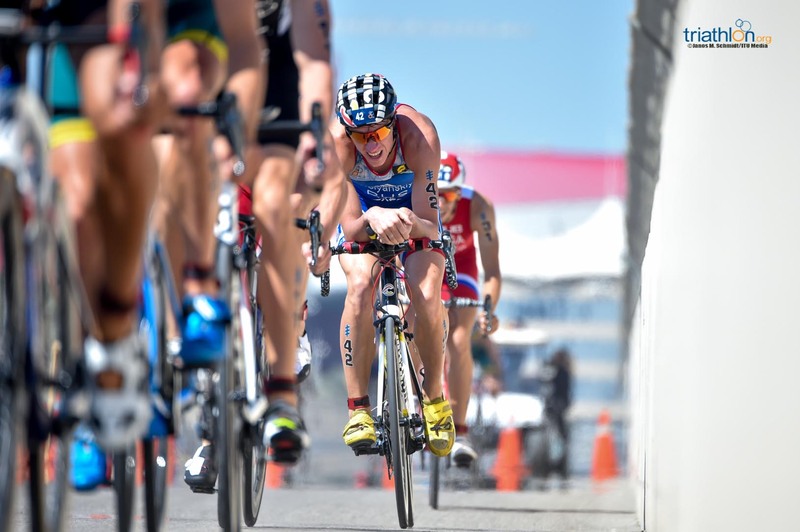 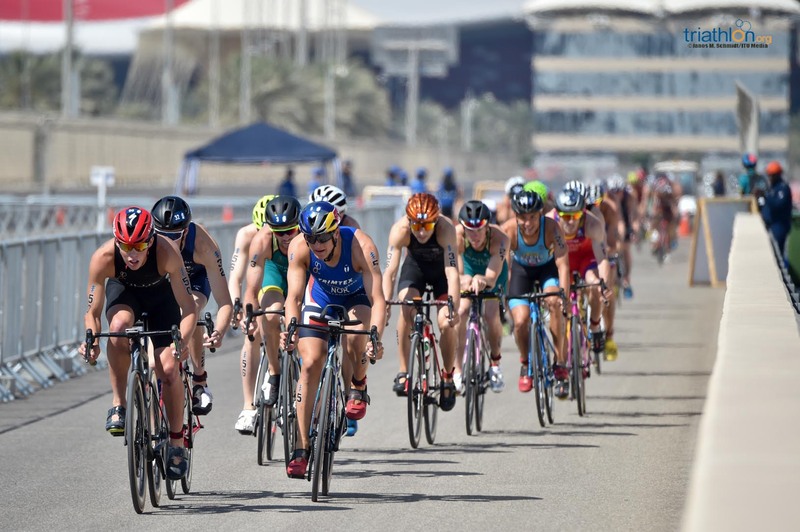 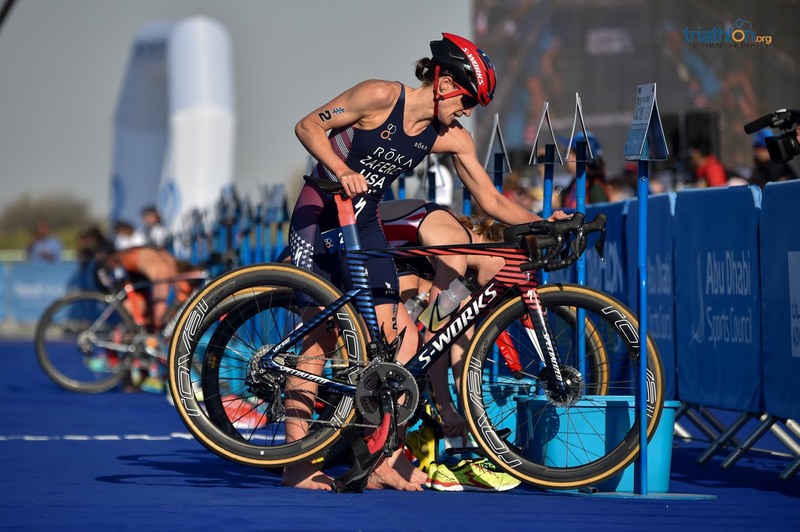 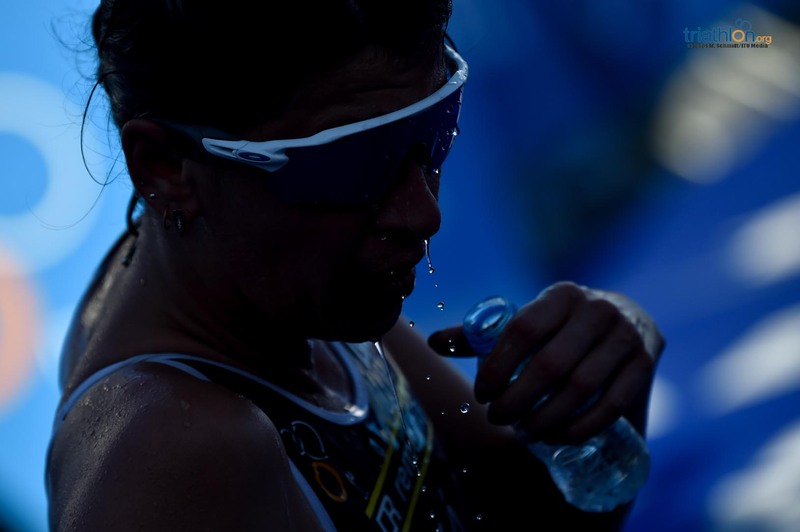 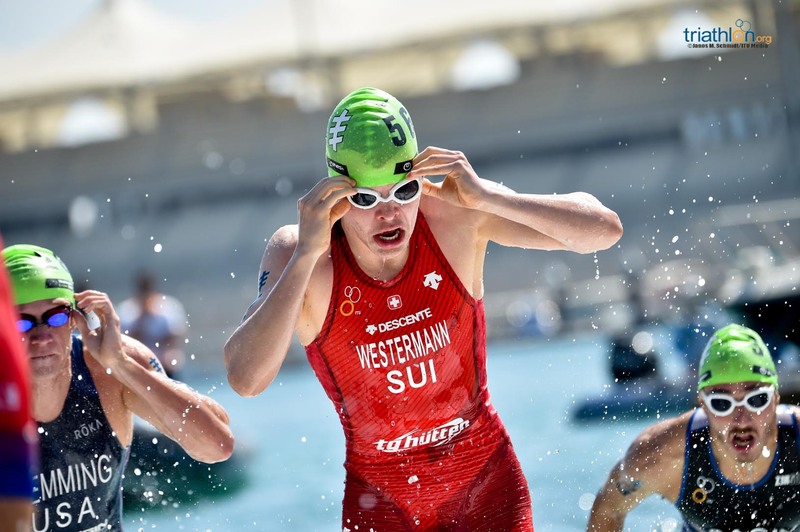 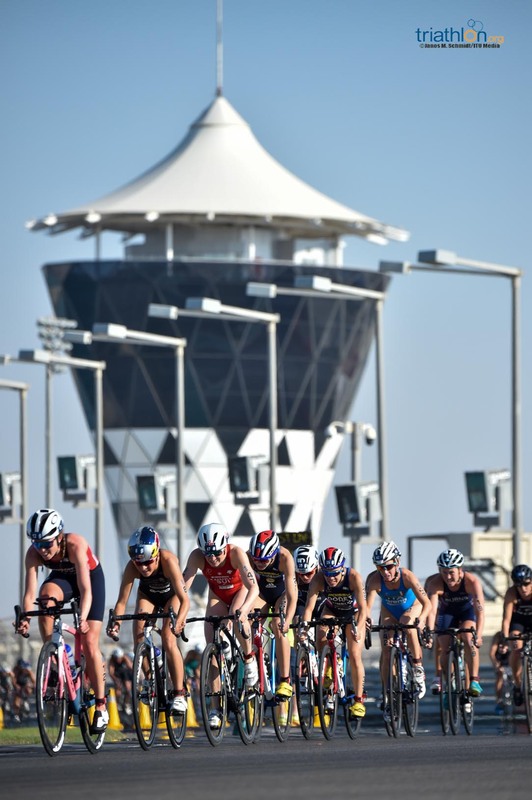 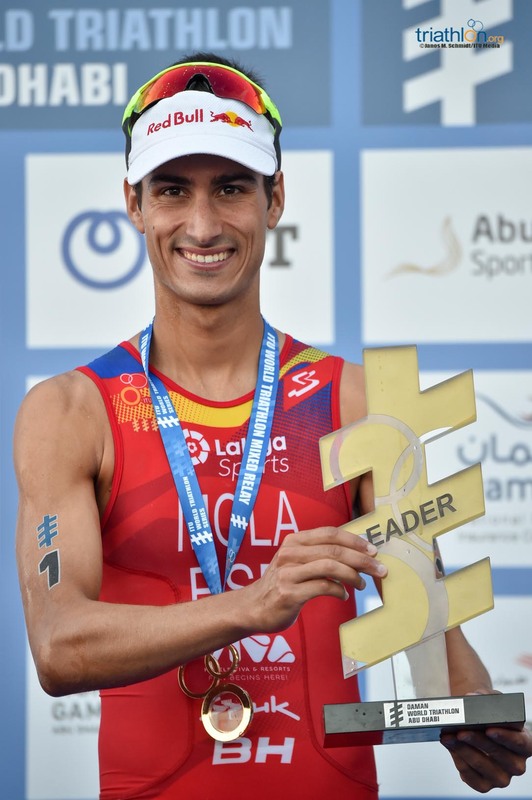 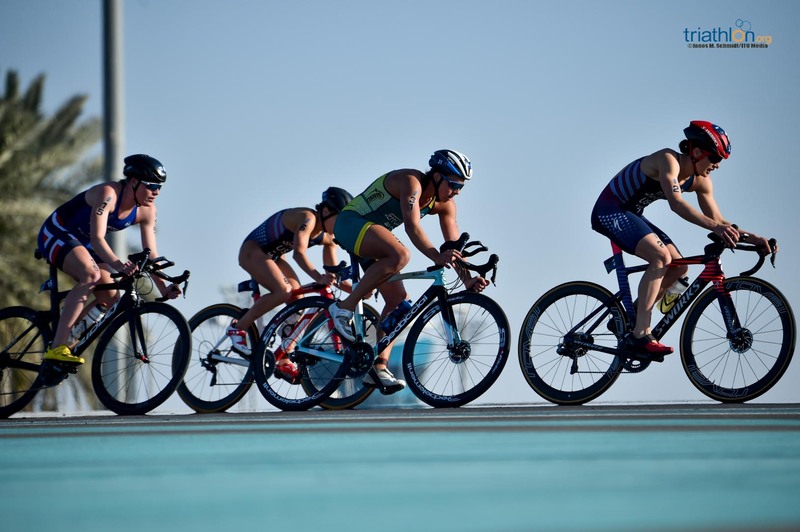 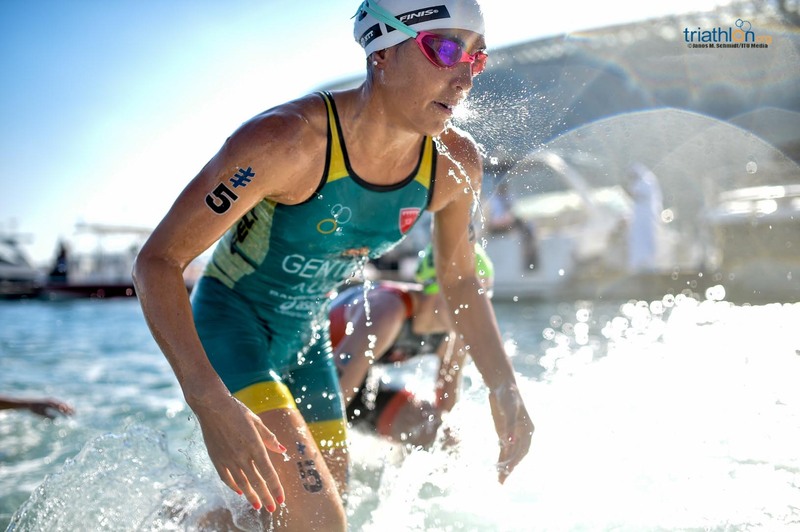 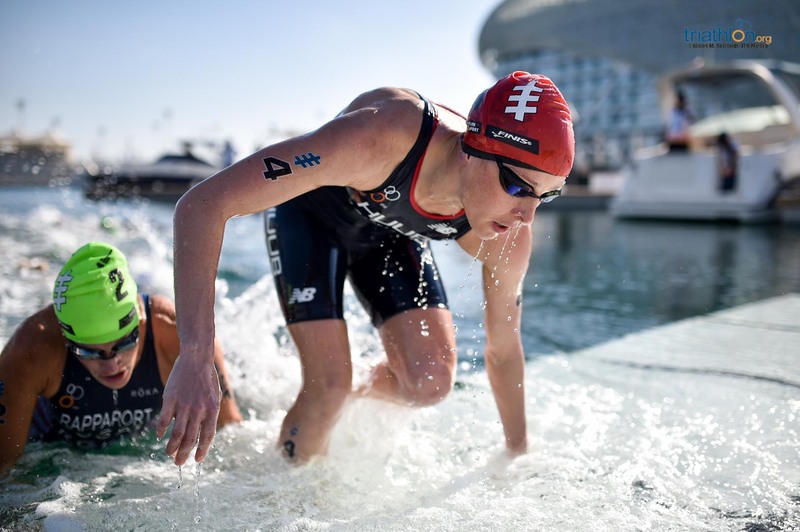 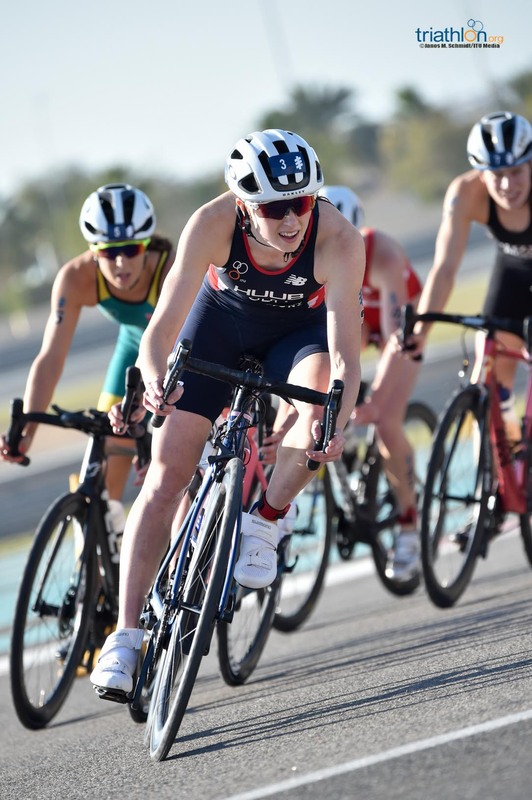 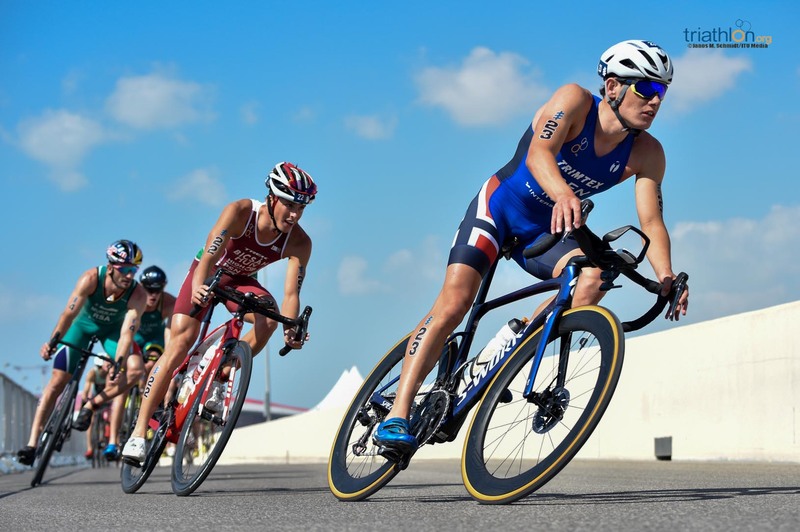 On a glorious Friday afternoon in the UAE, the USA’s Katie Zaferes delivered a brilliant run to win the fifth WTS Abu Dhabi and claim a precious second World Series gold of her career as she looks to build her 2019 title challenge. 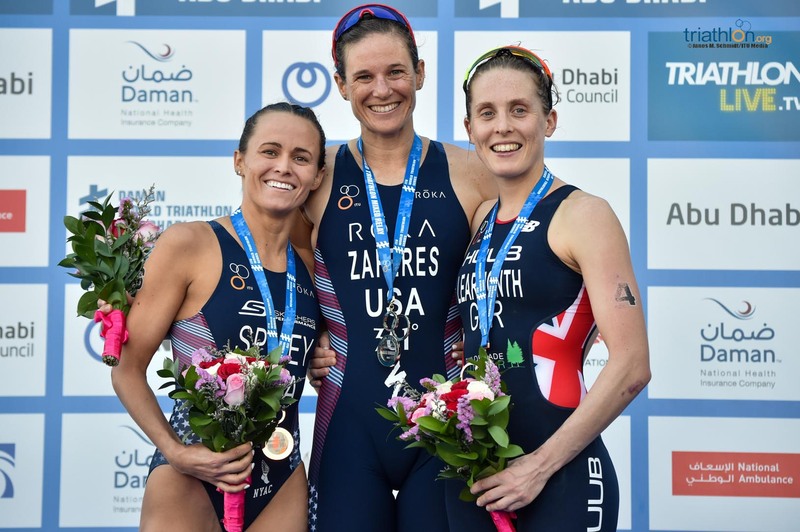 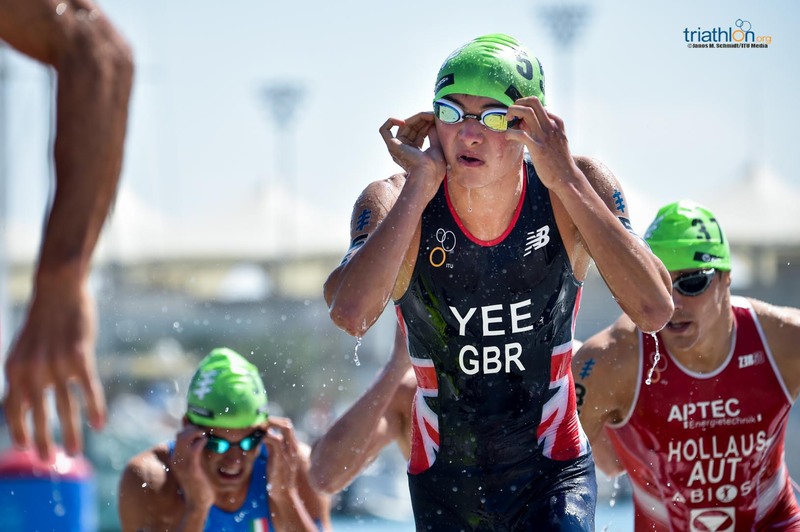 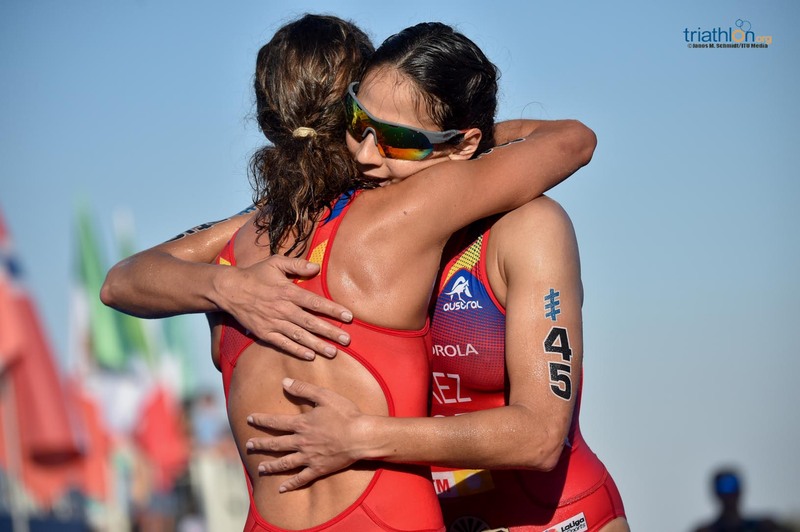 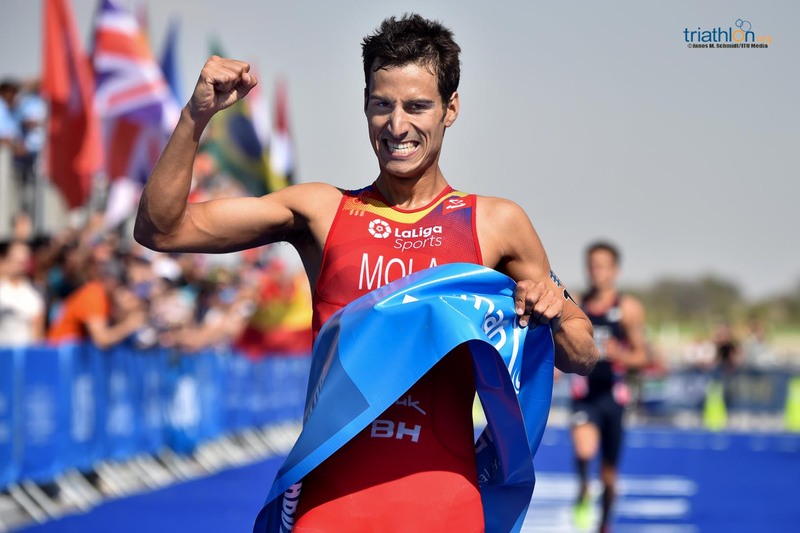 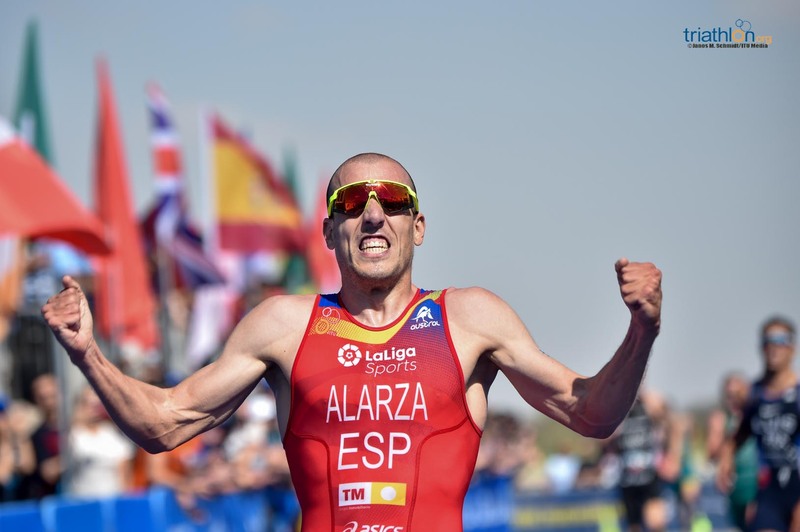 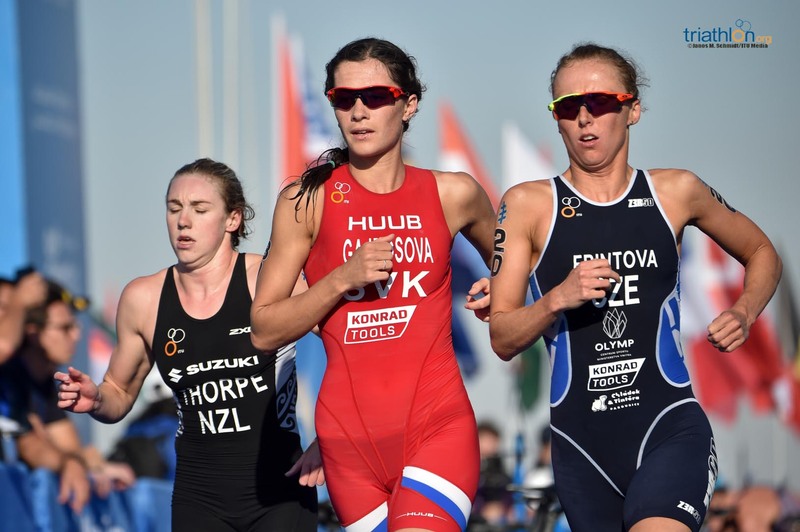 Second overall last year, Zaferes put together a near-perfect race, followed over the line by a delighted Taylor Spivey (USA) and Jessica Learmonth (GBR). 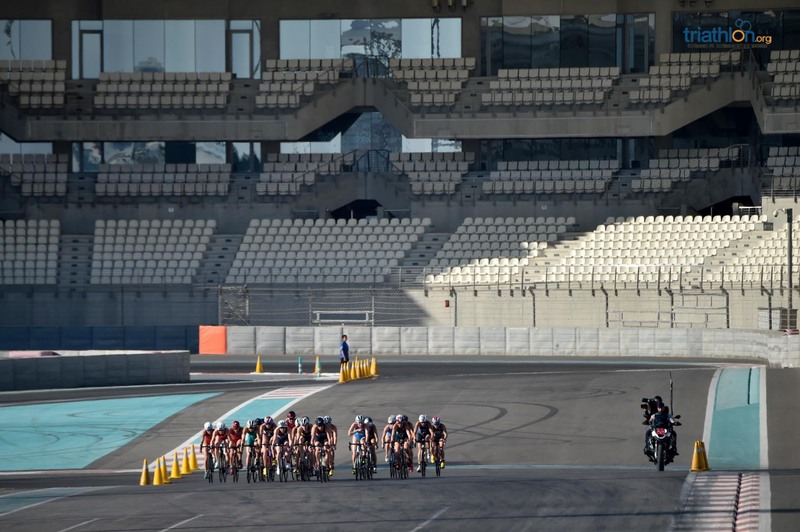 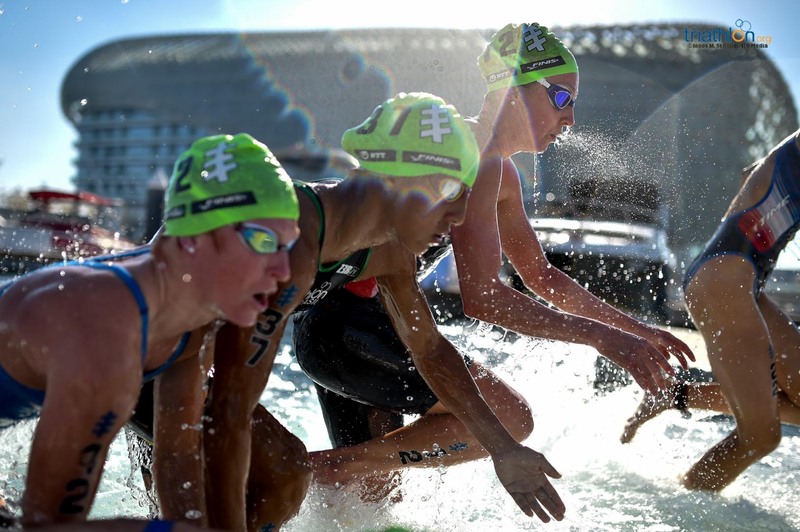 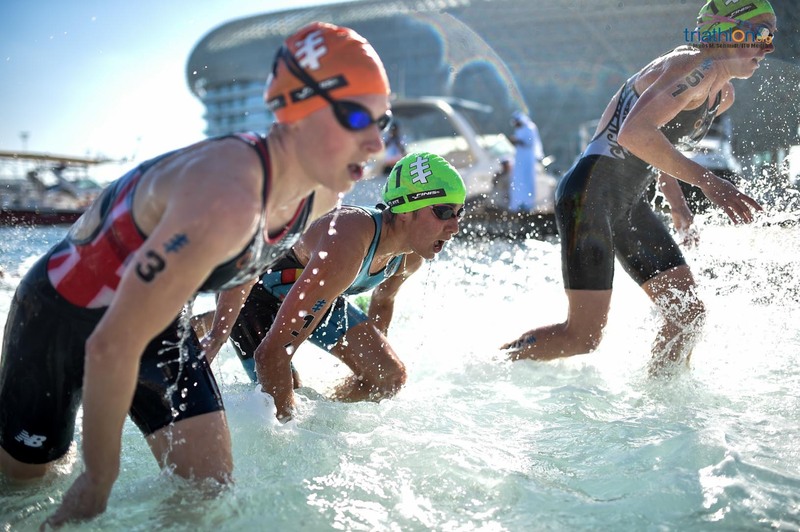 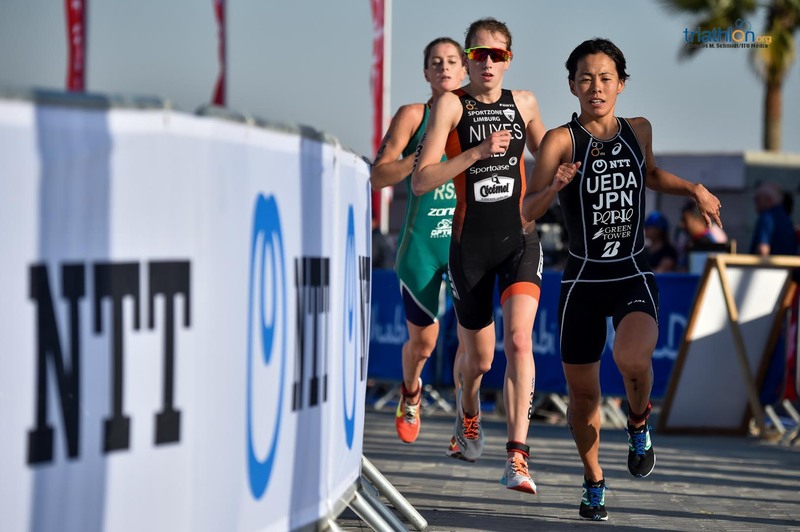 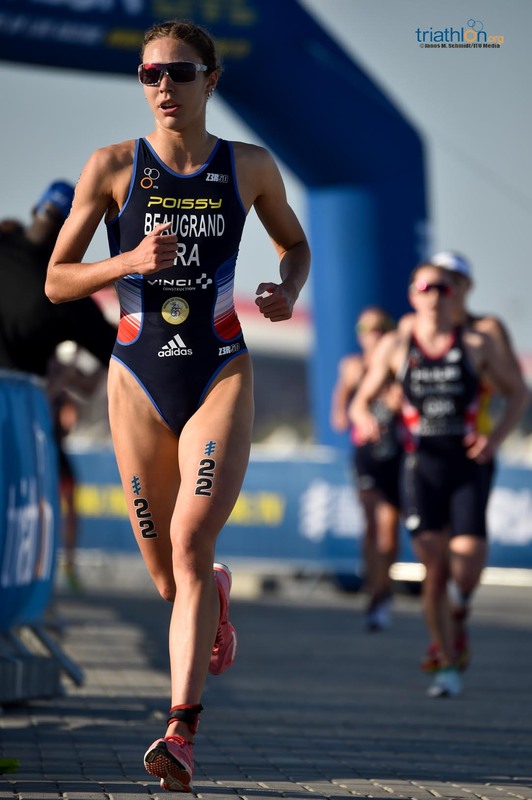 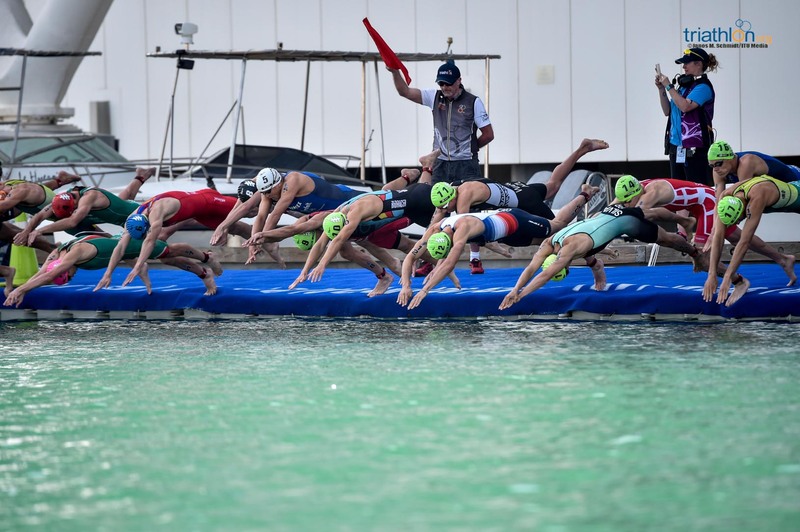 Zaferes flew out of the blocks alongside Jessica Learmonth into the Yas Islan Marina, but it was Maya Kingma (NED) who was fastest over the first 200m, while behind there was a wide spread to the field early on. 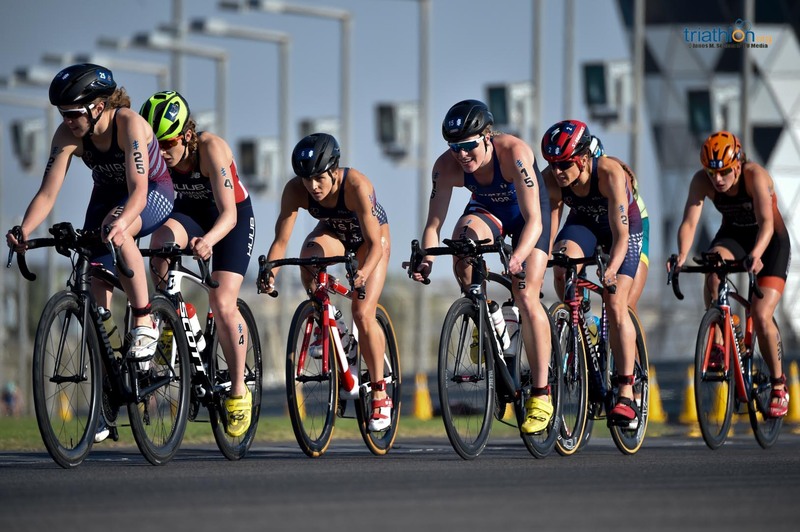 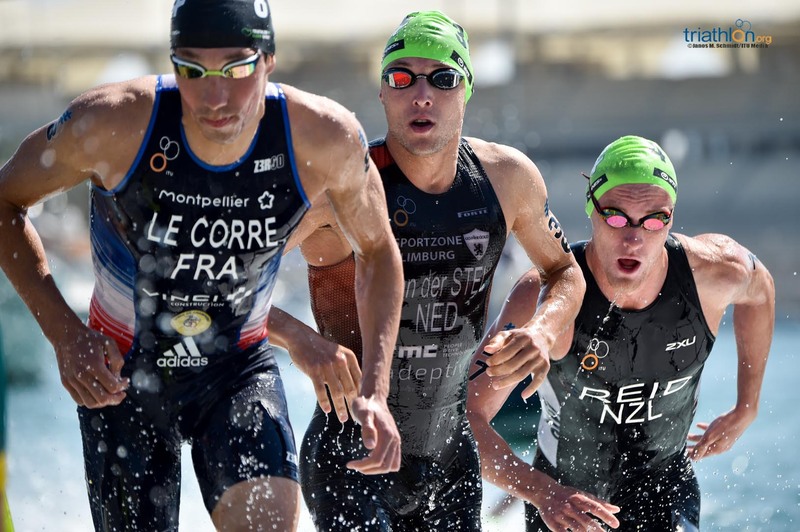 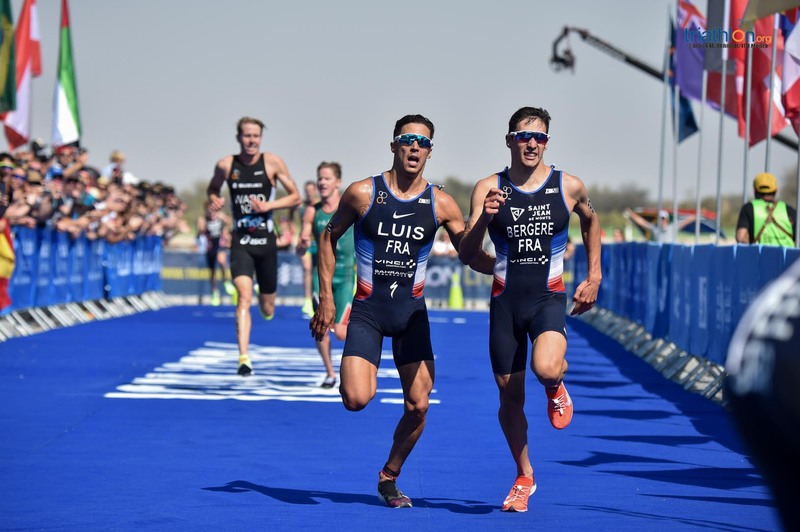 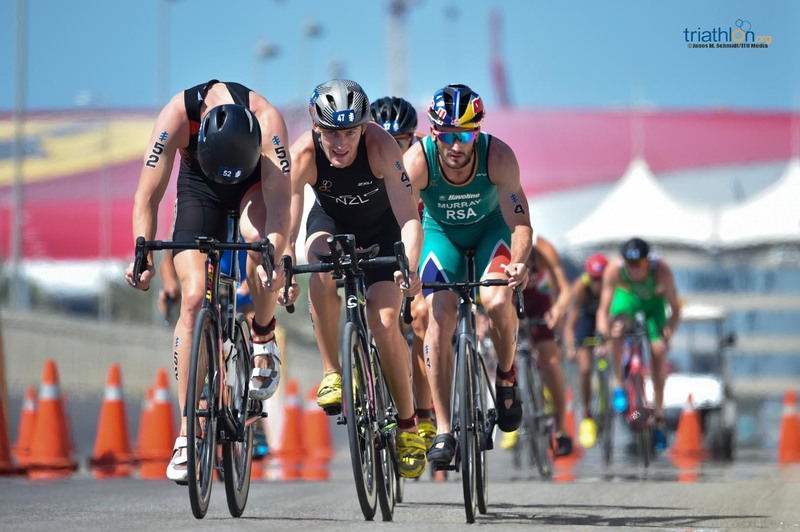 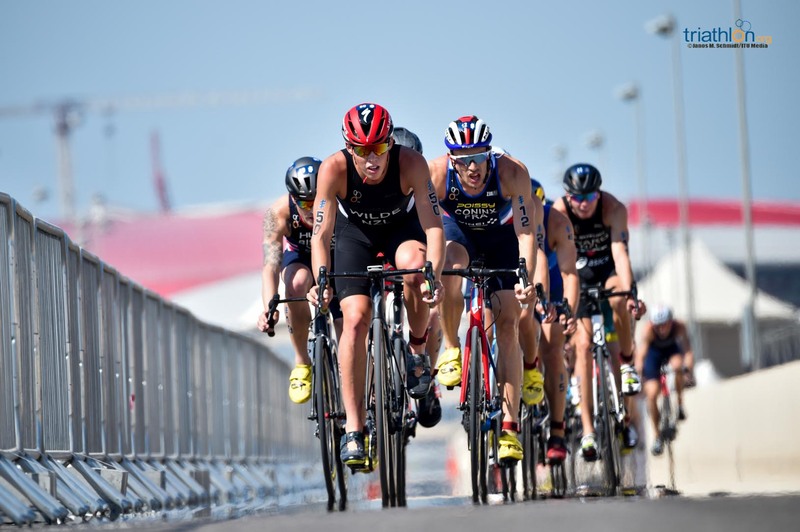 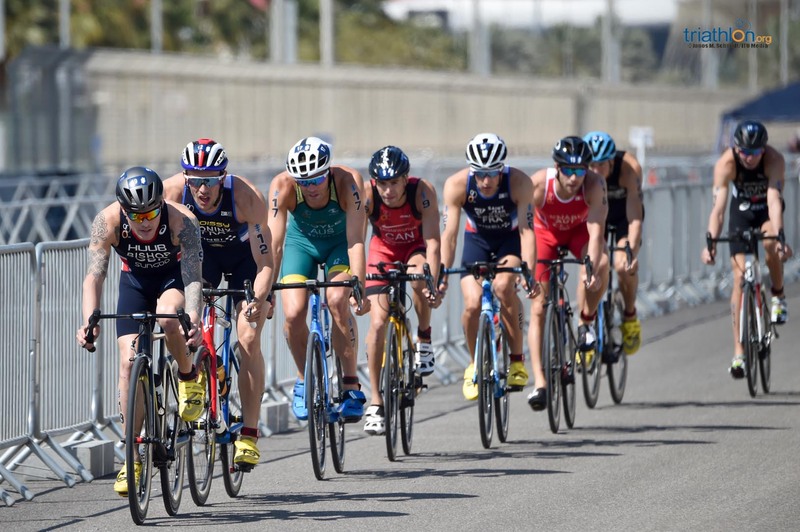 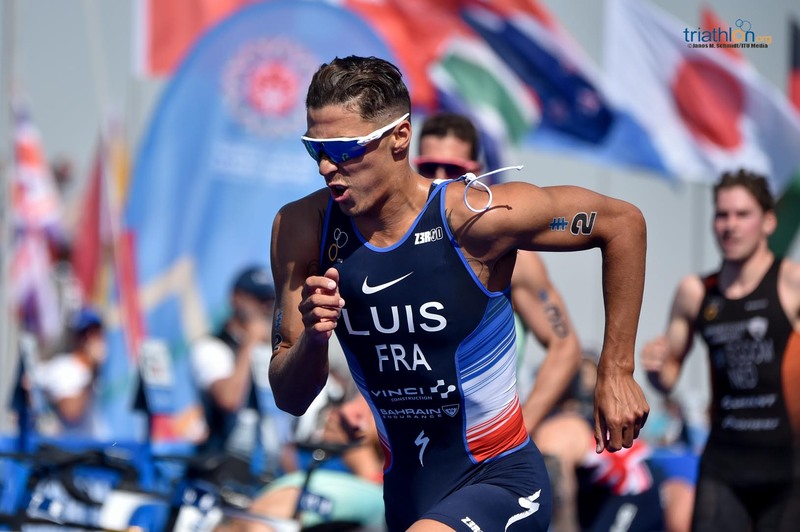 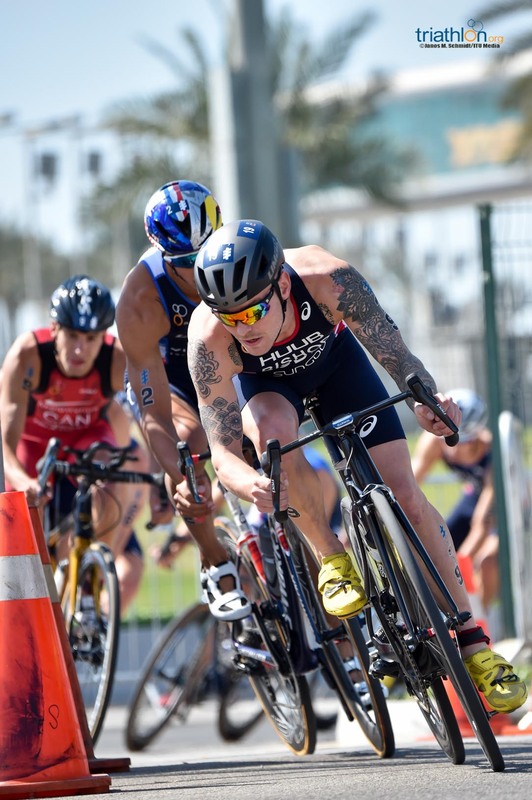 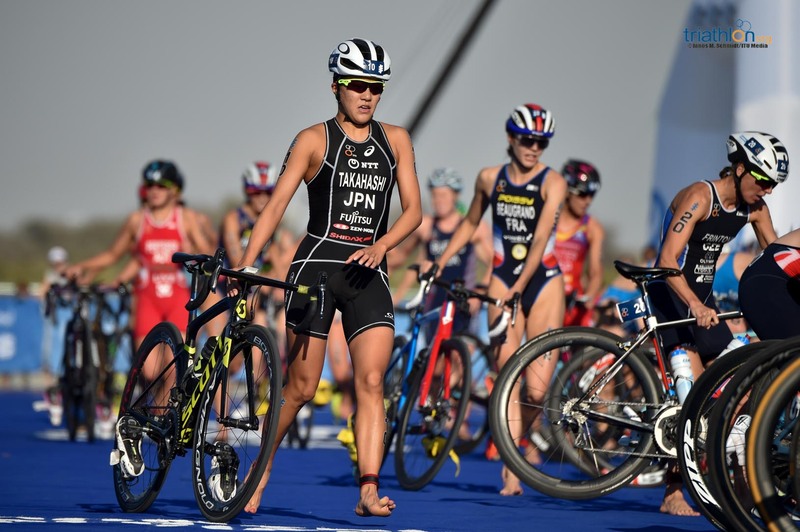 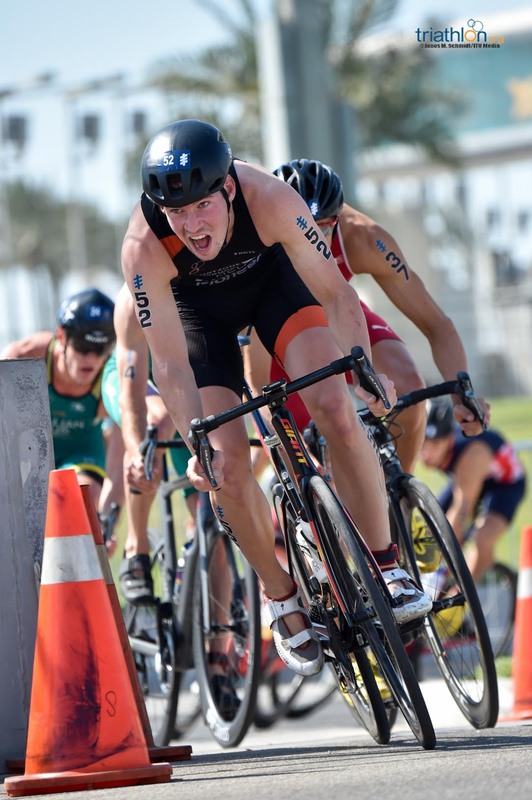 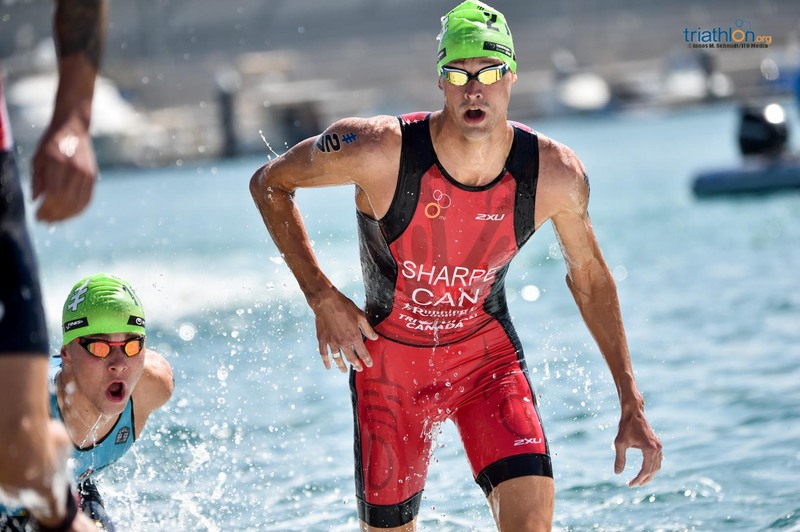 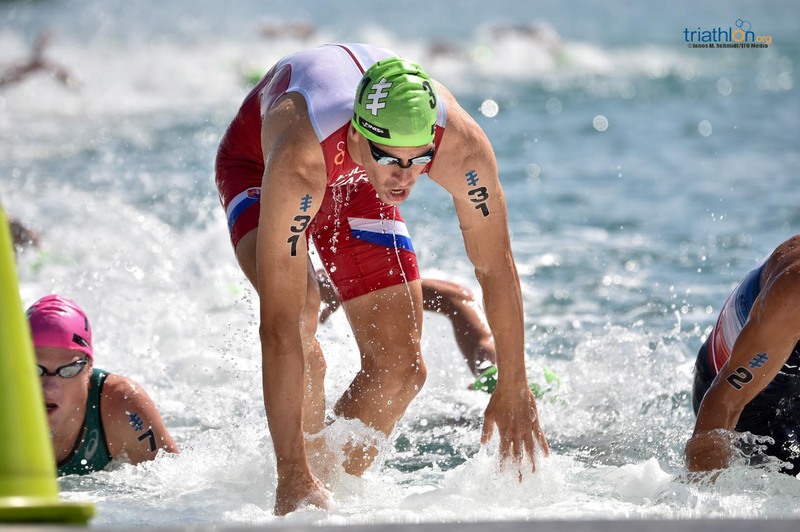 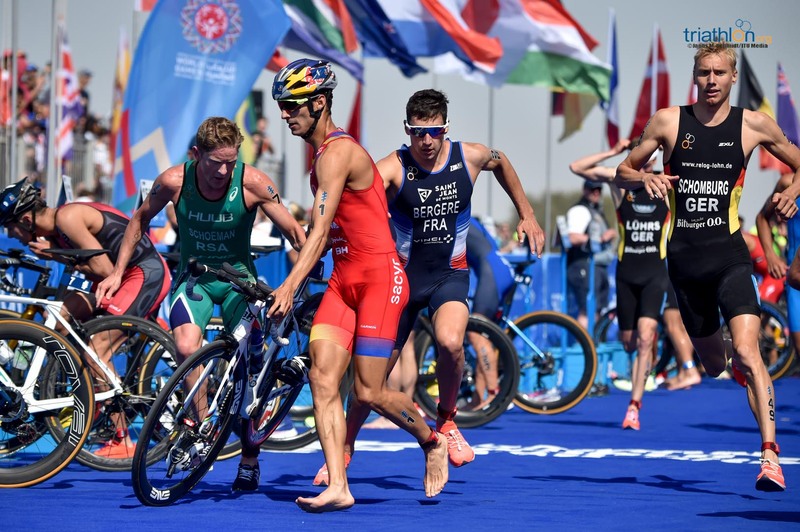 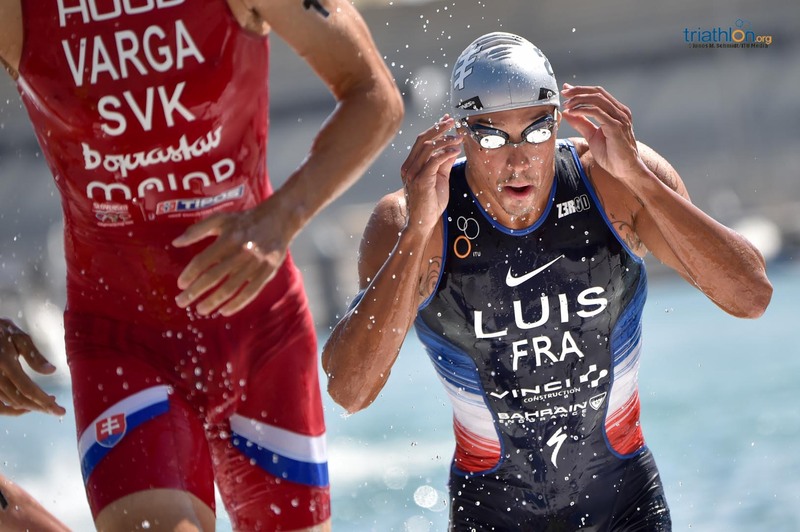 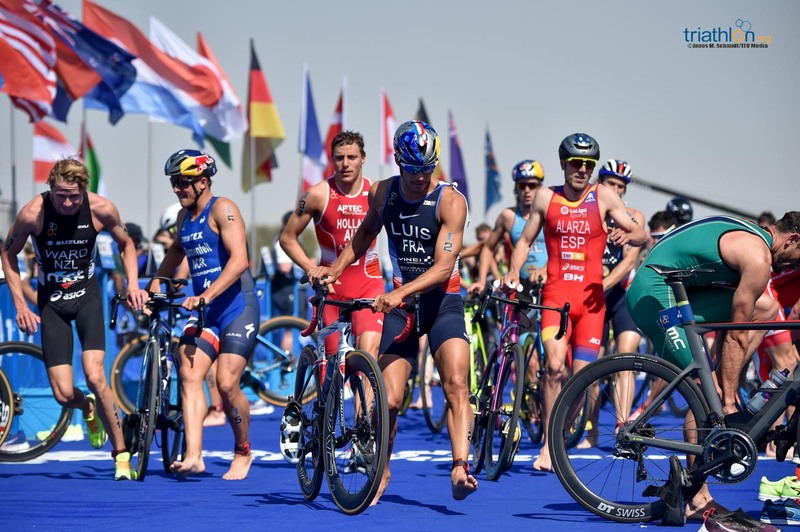 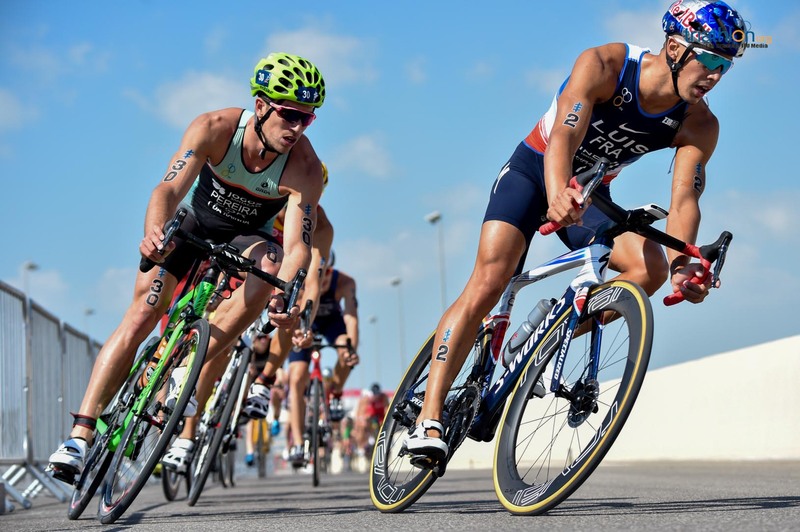 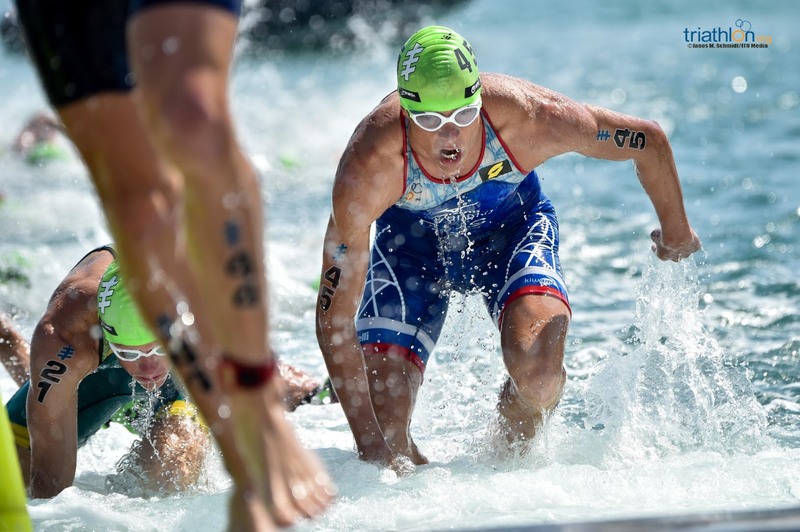 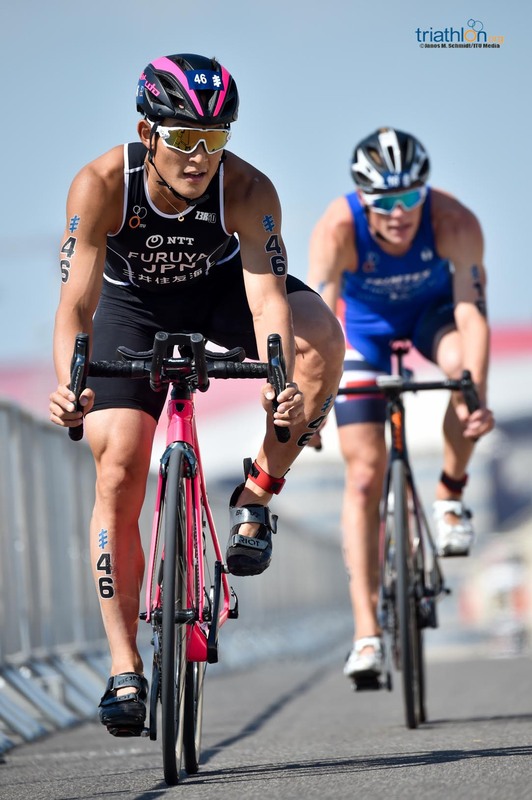 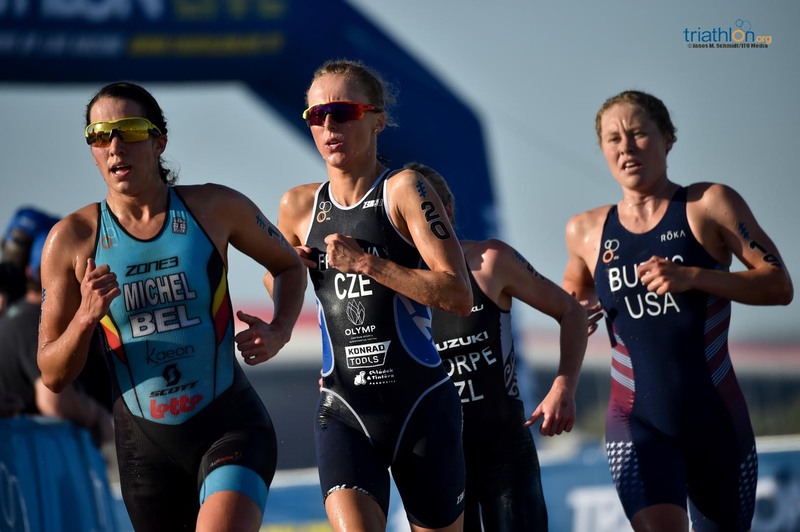 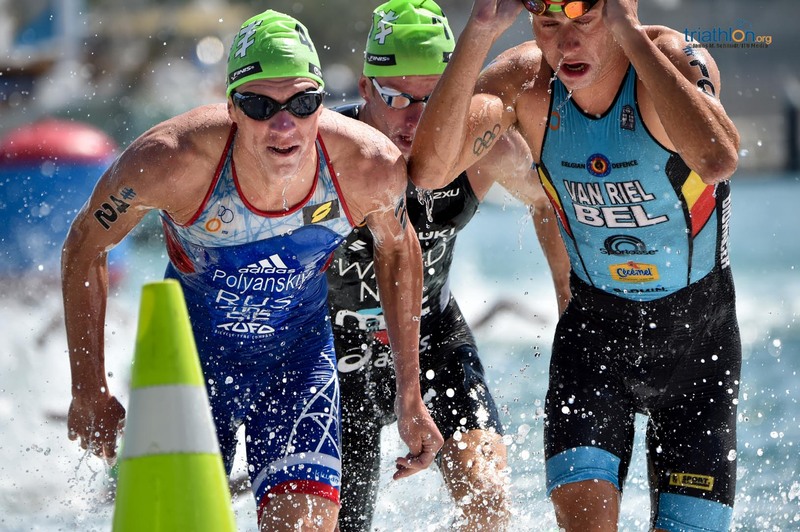 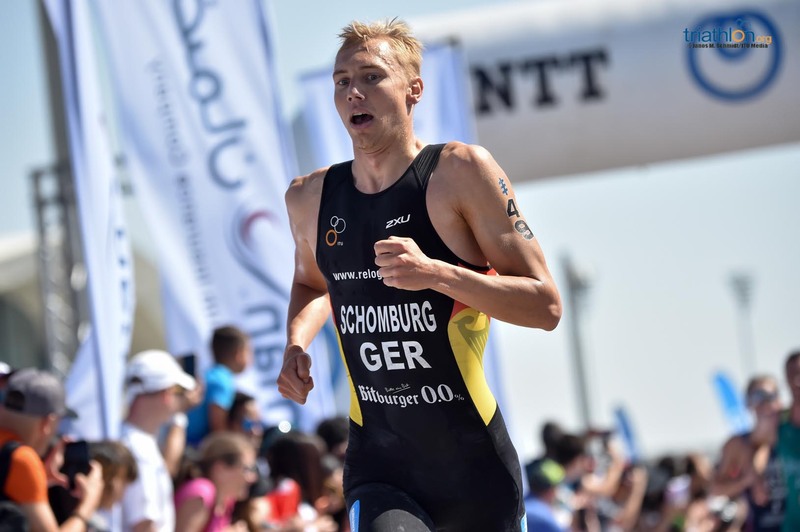 By the end of the swim, Zaferes was in control into transition and back out, Taylor Knibb, Summer Rappaport and Spivey making it an American quartet taking control going into the 20km bike. 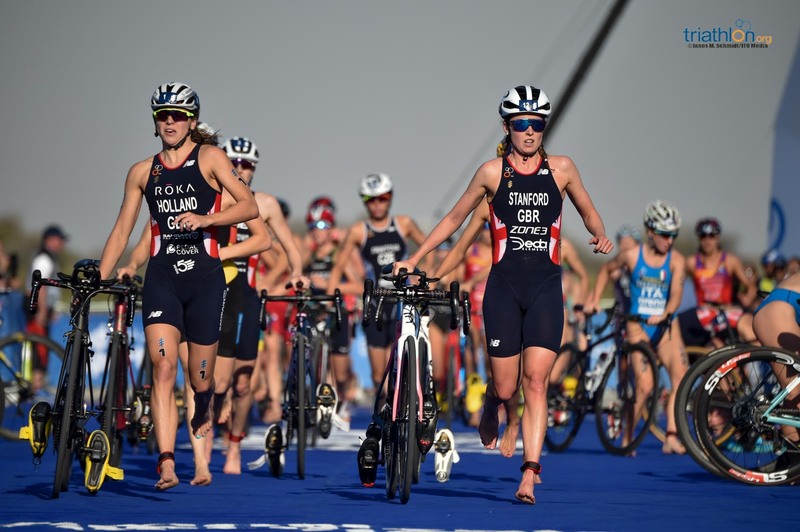 Meanwhile Great Britain’s Vicky Holland and Georgia Taylor Brown were 14 and 32 seconds back respectively. 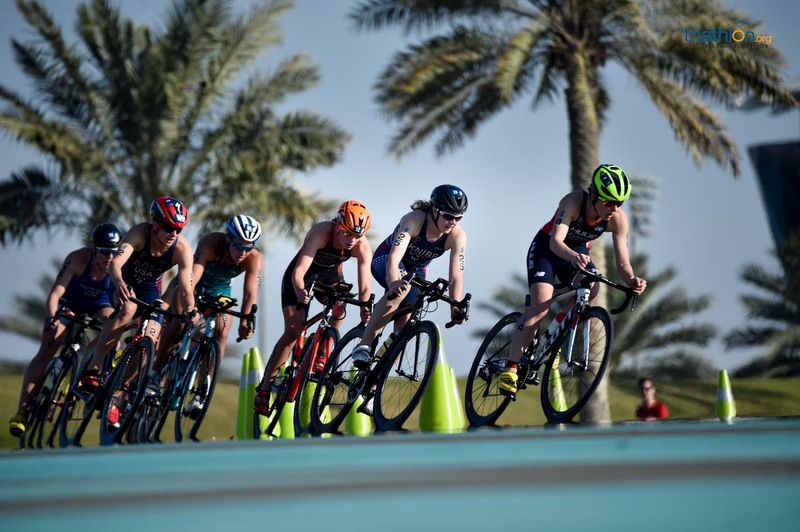 Early disappointment for Canada’s Joanna Brown saw her out of the race after a fall on the opening lap, while back up front the nine-deep lead pack included a returning Carolina Routier (ESP), Lotte Miller (NOR) and Australia’s Emma Jeffcoat by the end of the first lap. 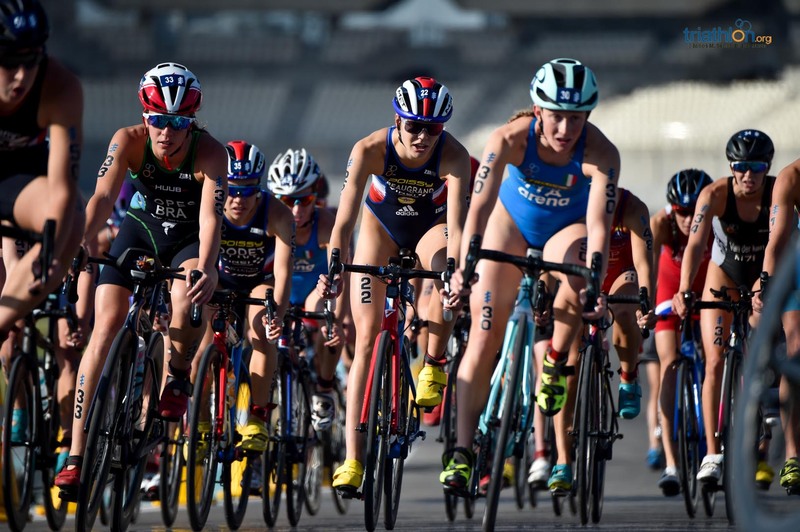 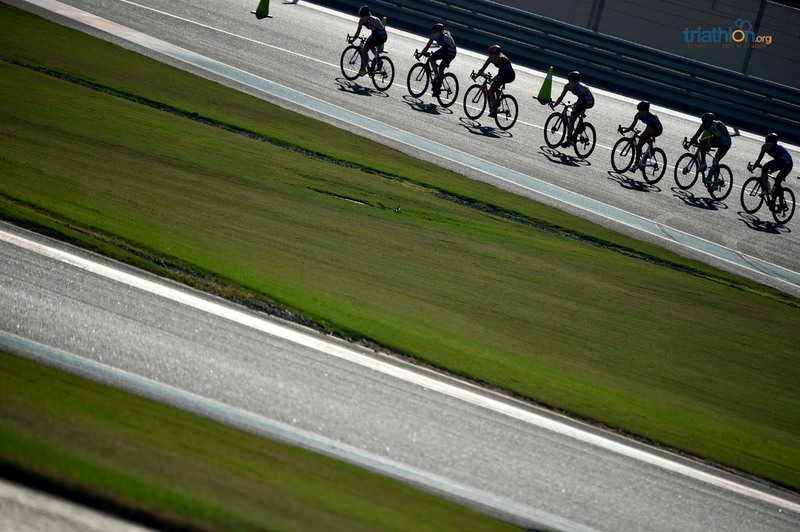 As Rappaport and Routier dropped off and a group of seven then settled into their rhythm out front, Laura Lindemann (GER) along with Britain’s Holland, India Lee and Non Stanford trying hard, but with little luck, to organise the chasers who had dropped to 30 seconds back after two laps. 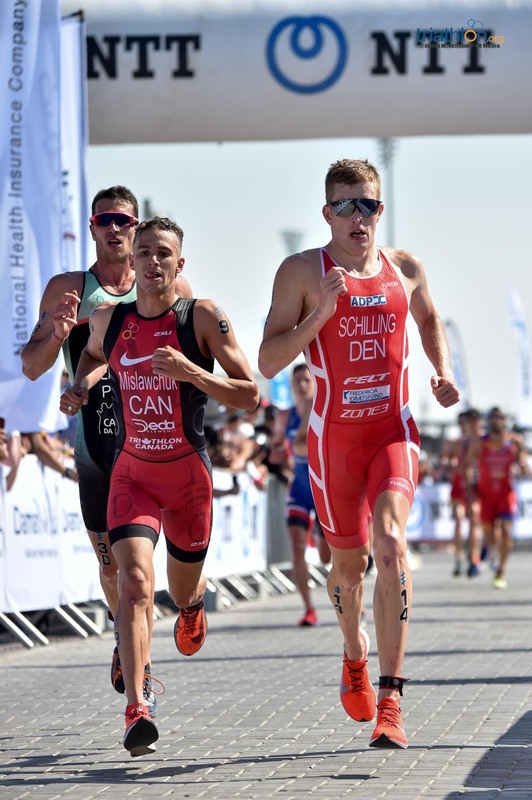 That gap continued to grow and was up to 40 seconds with 10km to go, Learmonth and Zaferes looking utterly focussed out front, Miller, Jeffcoat, Kingma and Knibb also at ease where by contrast the chasers continued losing ground with nobody seizing the reigns. 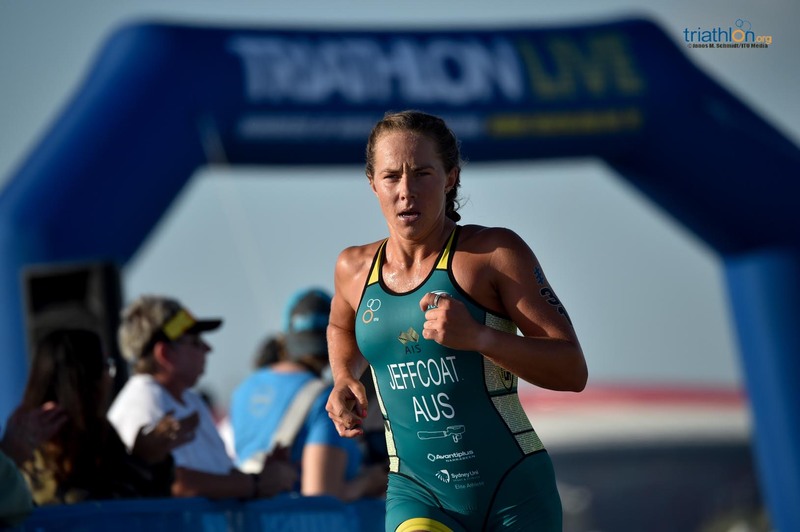 By the bell lap, Emma Jeffcoat had also dropped off the pace and the gap between the main packs was just shy of a minute, allowing the leaders time to prepare for a clear transition and find their run legs out of the congestion behind. 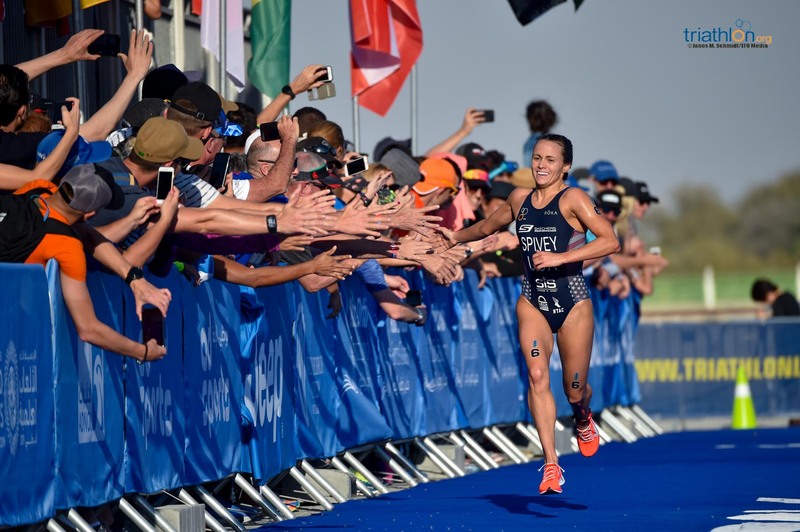 Zaferes then wasted no time in laying down the gauntlet, looking to get the hard work done early and carve out some daylight between her and the five chasers by the end of the first kilometre. 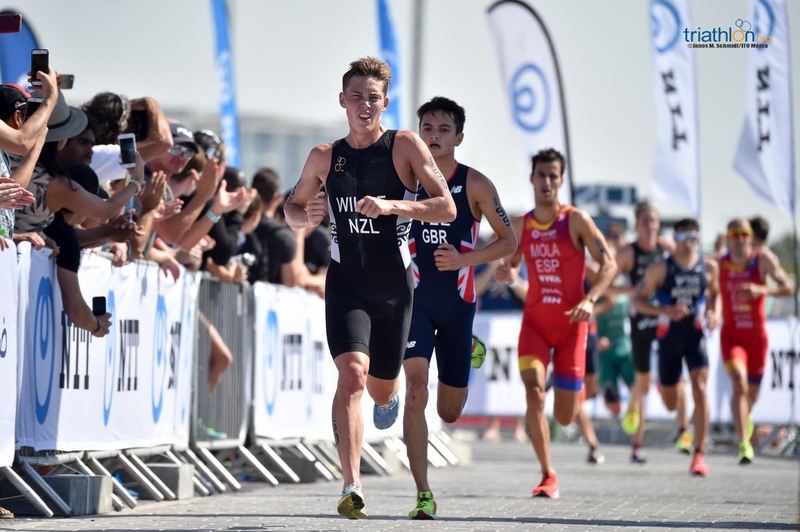 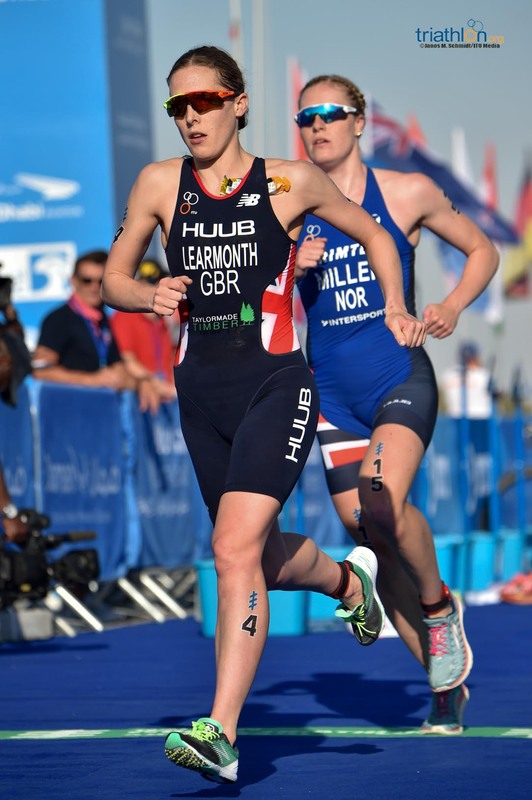 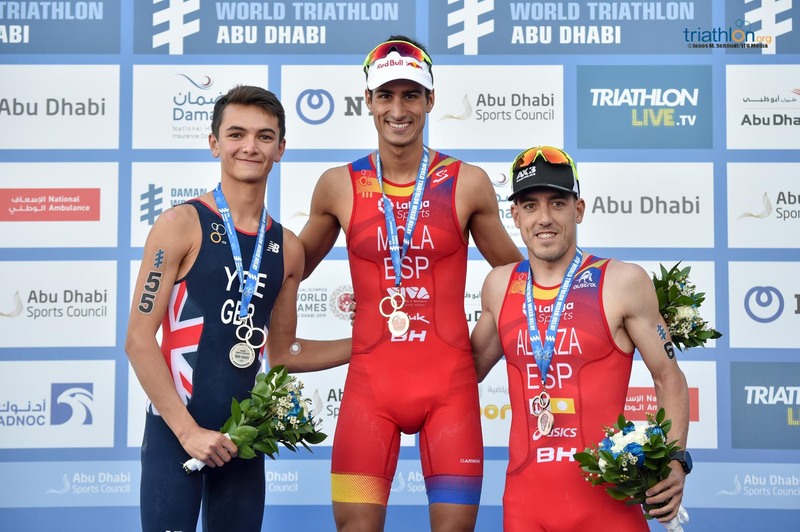 Spivey was also going well at the halfway point as Miller dropped off, and with the top two places looking assured with 1500m to go, the race came down to a superb battle for bronze between Learmonth and Knibb, the Brit battling back to prevent a USA podium clean-sweep. 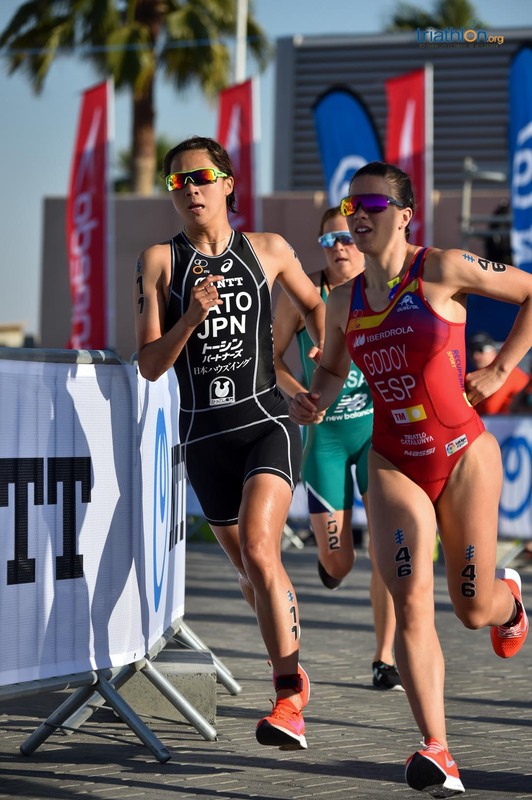 Further back, Non Stanford had managed to run her way into fifth followed by Lotte Miller and Cassandre Beaugrand (FRA), defending champion Vicky Holland finishing in 8the place ahead of teammate Georgia Taylor-Brown and Ashleigh Gentle (AUS).